Anakin and Leia. 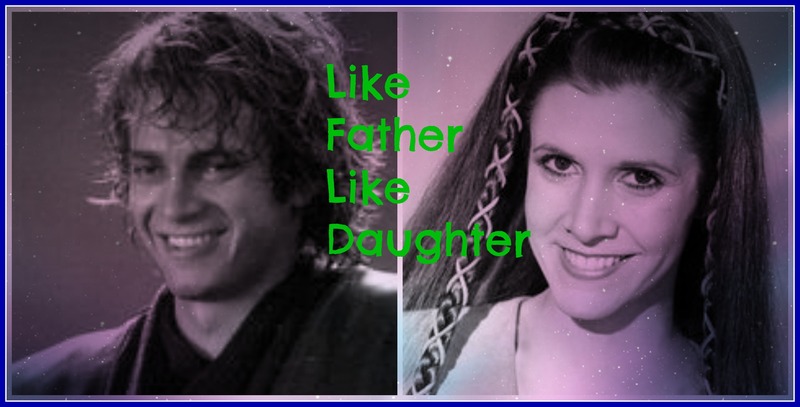 IMO just like Luke takes after Padme I believe Leia takes after her father. OH how ironic. . HD Wallpaper and background images in the Star Wars club tagged: photo. This Star Wars photo might contain anime, comic book, manga, cartoon, portrait, headshot, and closeup.